When it comes to buying a new car, customers know to come to Midtown Toyota. We have a reputation for quality that carries from everything to our new car sales to our service center. We are proud to offer such a large and diverse selection of new Toyota models on our lot, but if that wasn’t enough, we also have a great selection of pre-owned Toyota cars. We are ready to help you find out which model is best for you—whether it be the 2017 Toyota Camry or the 2016 Toyota Tacoma. In addition to our offerings of many new Toyota cars, we have an excellent body shop to serve the customers that are just looking to keep their current vehicle in the best shape possible for the time being. We are a Toyota Certified Collision Center with expert staff and state-of-the-art equipment to get you back on the road as quickly as possible. We have AES certified technicians to make sure the repairs are done correctly the first (and only) time. To make it even more convenient for you, we accept all insurance companies, so you won’t have to deal with the hassle. As a family-owned and operated dealership, we are focused on making sure our customers are satisfied with our service. That is why our friendly and knowledgeable staff is committed to helping you when you need car repairs to make sure you are satisfied with the service you receive. In addition to convenient hours, we make it easy for you to schedule an appointment at our service center. You can either schedule it on our website, or you can give us a call to get your service scheduled or get any questions you may have answered. While you wait for your service to be completed, you can enjoy the free WiFi and coffee in our customer lounge. We also have a flat screen TV in the waiting area to keep you entertained while your car is being repaired. Once the repair is done, we are happy to explain what we did, so you know how well we took care of your vehicle and what was wrong with it to begin with. As you can see, we have plenty to offer to our customers here at our dealership. We invite you to head over to our Toyota dealership in Chicago, IL conveniently located at 2700 N Cicero Avenue. Our team would be happy to answer any questions while you are here and go over any of the services you may need. If you would like to just get started right away, you can schedule your appointment with our service center on our website. 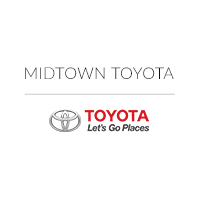 We look forward to meeting you and servicing you here at Midtown Toyota!